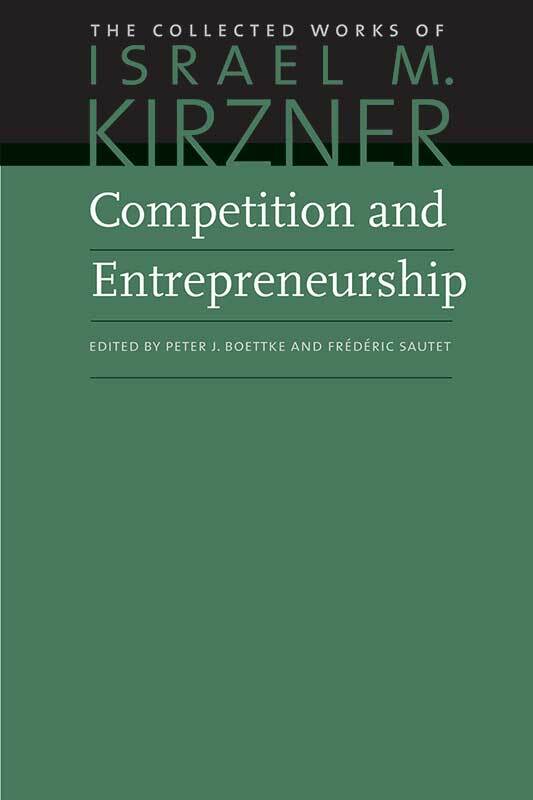 Competition and Entrepreneurship defines Israel M. Kirzner’s unique contribution to the economics profession. Pointing out the shortcomings of the traditional microeconomic model, Kirzner offers an alternative and complementary view, which illuminates and enriches the way economists think of the market process. Kirzner develops a theory of the market process that focuses on the role of the pure entrepreneurial element in human action. Israel M. Kirzner is a leading economist in the Austrian School and Professor Emeritus of Economics at New York University. Peter J. Boettke is University Professor of Economics and Philosophy at George Mason University and the BB&T Professor for the Study of Capitalism at the Mercatus Center. Frédéric Sautet is a visiting associate professor of economics at the Catholic University of America. Previously, he has taught at George Mason University, New York University, and the University of Paris Dauphine. Introduction to the Liberty Fund edition, original preface by Kirzner, index.